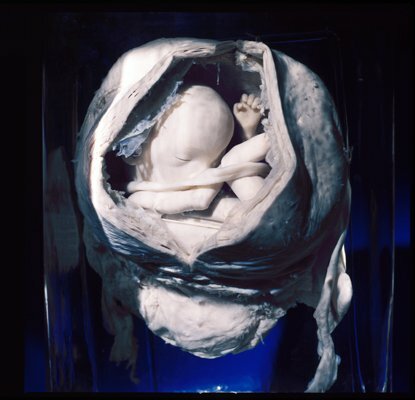 In 2010 Foam exhibited, in association with the Academic Medical Center (AMC) in Amsterdam, the Vrolik Collection [Collectie Vrolik] as photographed by Hans van den Bogaard. 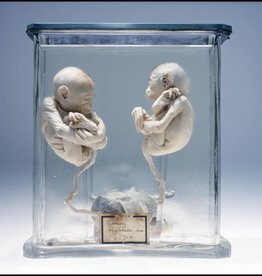 This private collection of Professor Gerardus Vrolik (1775-1859) and his son Professor Willem Vrolik (1801-1863) consists of anatomical, pathological-anatomical, zoological and teratological specimens. After the death of Willem Vrolik, his collection was under threat of public sale. An Amsterdam citizens committee acquired the collection in its entirety in 1869 and turned it over to the city. The collection forms the foundation of the sizeable Vrolik Museum, which is managed by the AMC. Hans van den Bogaard was commissioned to photograph a selection from the collection. They were on show during the exhibition in Foam and were displayed together with a few of the original specimens. The result transcends traditional scientific photography in which the medium primarily serves a specific branch of science. Van den Bogaard has succeeded in creating many photos which fascinate not only because of what they depict, but because of how the specimen is depicted. 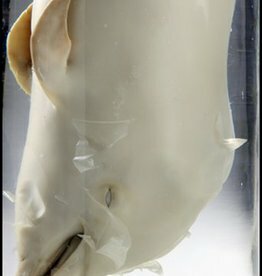 The specific use of both natural and artificial light, his choice of a particular camera and special lens and his well-considered use of the blue background in photographing many of the specimens ensure that the photos far surpass the straightforward recording of a collection. The images have an eloquence and a powerful, autonomous visual quality which goes beyond the subjects they depict. Hans van den Bogaard was born in Amsterdam in 1947 and is a self-taught photographer. He is mostly known for his documentary work, appearing in the newspapers such as Vrij Nederland and Trouw. As well as featuring in a number of book publications, his work also forms part of various collections, among them The Rijksmuseum and Gemeente Archief Amsterdam. Since 2009, Hans van den Bogaard has also been working as a teacher at KABK in The Hague.